Newton, MA – Growth through acquisition can be challenging for even the most seasoned acquirers. There is much ambiguity and uncertainty in the dealmaking process...and success is never a guarantee. To better understand how today’s A/E firm leaders are making winning deals, PSMJ Resources’ weekly electronic news brief, the M&A Insider, polled recent A/E buyers. Among other things, the survey asked where acquirers were finding the biggest challenges. The survey results are in and the biggest challenges for today’s buyers were clear. More than 45% of the survey respondents pointed to finding quality targets and successful integration as the biggest challenges. That compares to only 25.8% citing coming to agreement on purchase price and/or transaction structure and just 6.5% found conducting thorough due diligence to be the biggest challenge. × Michael J. Carragher, P.E. of 900-person transportation/land development/environmental firm VHB. As the lead for VHB’s M&A efforts, Mike has first-hand insight on finding, negotiating, closing, and integrating successful transactions for VHB. × Jeff Lloyd of Stantec, a global multidisciplinary powerhouse. Since 1976, Stantec has completed more than 80 acquisitions. In his current role with Stantec, Jeff is charged with leading the company’s M&A-focused growth efforts and has been a part of some of Stantec’s largest transactions. × James Frankel, Esq. and Andrew Ross, Esq. of the Construction Practice Group at leading law firm Arent Fox. James and Andrew bring many years of M&A transaction experience in the architecture, engineering, and construction industry. Michael, Jeff, James, and Andrew bring a wealth of knowledge and perspective to the program and, combined with PSMJ’s insight, there is no better source of M&A information you can use to create winning transactions. To encourage optimal interaction and dialogue, space is very limited at this event. For more information, or to register, click here or call 800-537-PSMJ (7765) today! About PSMJ’s M&A Insider: Th is weekly electronic news brief is the source for A/E firm leaders to hear about the latest transactions and pick up tips for success from PSMJ’s M&A experts. To subscribe to this complimentary must-have resource, contact Sue LeComte at slecomte@psm. 1. Before addressing the client, make sure you understand the facts of what happened. 2. Make sure the client hears it from you first. You don’t want your client hearing the news from the contractor, someone inside the client’s organization, or from the competition. 3. The preferred setting to deliver the news is face-to-face. At a minimum, you must speak voice-to-voice over the telephone. 4. Never bury bad news in an e-mail or voicemail. 5. Be accountable—accept responsibility for the mistake. If the client reacts angrily at the news, let them vent before proceeding to the next step. 6. Now, it’s time to present a solution. Present more than one option, if possible. By doing so, you give the client an opportunity to pick their preferred alternative—gaining their buy-in on the solution. The danger in presenting only one option is that you could find yourself still at odds with the client, if they do not agree with the single solution. 7. Once you have agreement from the client, implement and follow through to ensure the solution is in place. 8. To complete the process, follow up with the client to make sure they are satisfied with the solution and indicate at least one thing you will start doing differently to avoid repeating the mistake. Delivering bad news to a client is never easy. Following the above guidelines will ease tension from the start, and your client’s reaction may even surprise you. If executed successfully, you have the opportunity to walk away having gained credibility—credibility in a mistake! Don’t make another mistake by missing PSMJ's A/E/C Project Management Bootcamp. This Bootcamp is a revolutionary training like no other--through interactive case-studies, real-world examples, and proven solutions, you will foster innovation, elevate communications, increase productivity, and improve your firm's bottom line. Your firm should have a system in place for measuring the ROI on BD and marketing staff. This should include staff members who are both technical and non-technical, but have budgeted responsibilities in BD. Measuring ROI in this area can be difficult for many firms because they measure ROI for entire business development effort, basing their measurements on “gut feelings” rather than formal calculations. As a result, the perception (whether correct or not) of a low ROI can lead to termination, while perceived higher ROI leads to promotion, bigger territory, market, ownership, etc. This section alone makes it a priority for your firm to gauge business development success as accurately as possible. Maintaining a wider view on marketing and business development investments and ROI will enable your firm to have a greater understanding of how their marketing and BD efforts affect overall success. Looking for more information on how to better manage your BD efforts…come to PSMJ’s 2011 A/E/C Marketing Bootcamp: THE Program On How To Get And Keep Clients. This spring, PSMJ is providing 5 locations all across North America to give your whole firm the tools and confidence you need to succeed in bringing in more work for the firm. Click here for more information. Newton, MA — The factors putting downward pressure on earnings in today’s economy are many. Revenues are down with more firms chasing fewer projects and rising costs are putting a tighter and tighter squeeze on many A/E firms. Further, with hungry competition seemingly everywhere, it may appear counterintuitive that raising rates would be a viable strategy for increased profitability in the current economy. But, the results of a recent survey conducted by leading A/E industry research, training, and consulting firm PSMJ Resources, Inc. seem to indicate just that. In January, PSMJ surveyed 57 A/E firm leaders and asked whether their firms raised fees in 2010 and, if so, how much work they lost as a result. Of the firms surveyed, only 29% raised their rates – an indication of significant apprehension towards the strategy. However, of those firms that did take the leap and raise their rates, an overwhelming 86% reported “no noticeable loss of work” as a result. What’s more, the remaining 14% that raised rates reported that the loss of work was no greater than 10%. 1. Direct Labor Multiplier of 3.0 and Overhead Rate of 165% are based on industry norms per PSMJ survey data. To access additional insight and perspectives like this on successful A/E firm management and long-term, sustainable growth, subscribe to Professional Services Management Journal today! Packed with timely advice and information, this monthly newsletter is a must for A/E firm leaders. Click here to learn more! Don’t Forget About Your Financial Responsibilities! Being an effective project manager requires much more than proven technical proficiency. Especially during this last recession, your ability to protect the financial health of projects on a day-to-day basis became vital to their overall success. Now, as the economy continues to improve, that responsibility will become even more important. 1. Budgeting. For every project, create a project business plan that balances your firm’s ability to provide professional, quality work with your client’s expectations and ability and willingness to pay. 2. Profit-making. It is the PM’s responsibility to deliver the project to the client and a profit to the firm. Ensure success by keeping a close eye on schedule, budgeting, and any additional costs (i.e. change requests) that could impact your profit. 3. Billing. Regardless of project status, clients should receive invoices regularly, without delay. Keep the billing cycle short. 4. Collecting. Firms need cash to operate, not completed projects. As PM, you have the closest relationship to the client, and are in the ideal position to “assist” the client in the payment process. The best expression of confidence in the quality of one’s work is to insist on prompt payment for it. 5. Reviewing charges. Ensure that all charges to the project are appropriate, and that all appropriate charges are billed. This includes ensuring that subconsultants submit their invoices promptly; you want to pay no late fees. A good financial history on projects is critical for future budgeting. 6. Using resources effectively. Clients will pay professional fees that yield profits to the firm—as long as they’re not paying for inefficiency or waste. You must control the effective use of people, materials, information technology, and all project resources. 7. Utilizing time. Salaries are the biggest expense for any professional firm. Direct salary costs produce revenue; indirect salary costs drain profits. It is your responsibility to make sure that your own time and that of your team meets utilization goals. Find out what else you need to diligently keep tabs on in order to do your job well. 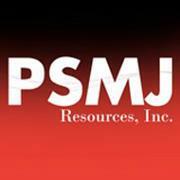 Come to one of PSMJ’s upcoming Project Management Bootcamps! PSMJ’s Project Management Bootcamp is a revolutionary training seminar like no other-- through interactive case-studies, real-world examples, and proven solutions, you will foster innovation, elevate communications, increase productivity, and improve your firm's bottom line. Click here to register or call PSMJ Education Department at (800) 537-7765. The American Institute of Architects’ Architecture Billings Index remained fairly neutral in January, as the average billings matched levels in December. Although the growth has slowed compared to the months prior, the trend remains a sign of recovery. The Architecture Billings Index (ABI) serves as the leading economic indicator of construction activity, and reflects the approximate 9-to-12 month lag time between architecture billings, and actual construction spending. The monthly ABI scores are centered around 50, with scores above 50 indicating an aggregate increase in billings, and scores below 50 indicating a decline. The ABI recorded a score of 50.0 for the month of January, meaning billings level matched that of December. Because this is the third month in a row the ABI registered a score of 50 or higher, it offers hope that we are on the way to sustainable recovery in the architecture industry. Firms in three of the four major U.S. Census regions reported gains in January, while firms with major facility type specialties all reported at least modest revenue gains for the month. Firms in the Northeast continue to see an increase in work, as billings have increased each month since August. The same goes for companies in the Midwest since September, and those in the South since November. Firm in the west, however, have seen yet another month of decreased workload. Conditions for the major construction sectors are improving across the board. Commercial/industrial firms have reported steady growth in billings since last summer, with accelerating levels in recent months. Residential firms have also seen substantial gains in recent months, while institutional firms have reported slight gains. If these trends continue, it could mean a sustainable recovery in the building industry, in both residential and nonresidential sectors. On a national front, the GDP increased 2.6% in the third quarter, and 3.2% in the fourth on an inflation- and seasonally-adjusted basis. The employment rate, however, remains down, and payrolls only increased by 36,000 positions in January after adding 248,000 through the second half of 2010. A healthy economy should generate between 2.0 and 2.5 million net new payroll positions a year, and generally needs to create between 1.5 million and 1.8 million a year just to keep the unemployment rate from increasing. With domestic growth expected to be modest, some firms are exploring international design opportunities. Because most international economies are growing faster than the U.S. economy at present, a growing share of construction companies are pursuing work offshore, often in developing countries. Many U.S.-based architecture firms are looking to take advantage of these international opportunities. While international work is expected to be an important segment of firm workloads, it most likely will not be a dominant one, with foreign billings expected to approximately match the 2010 levels. By region, the ABI breaks down as follows from December to January: Northeast is down 50.4 from 55.3, West is down 47.3 from 48.4, South is down 51.5 from 54.8, and Midwest is up 56.4 from 52.9. By market sector: Residential is down 53.7 from 60.1, Institutional is up 51.3 from 50.6, Commercial/Industrial is up 54.6 from 52.7, and mixed is up 48.7 from 47.8. Expand Your Business Development Team with the Talents of Every Generation! Business development professionals constantly beat the drum: ‘Everyone is a marketer!’ hoping that each staff member will then magically step up and contribute to the firm’s overall sales and growth. One surefire way to increase results from your ‘expanded marketing team’ is to measure everyone formally— during performance reviews— on their business development contributions. In addition, it’s up to business development leaders to help the others find their way in terms of contributing to the bigger picture of firm growth. There’s something to be said for stereotypes of the three generations that are currently in the workforce: Baby Boomers (1946-64); Generation X (1965-76); Generation Y, aka Millennial (1977-present). Without clarity on generational tendencies, you may try to force a square peg into a round hole. In this lean economy, there’s no room for that sort of mistake. Generational frameworks play a role in determining highest and best use of staff talent from business development and marketing perspectives. Remember, it’s not that some generations work harder than others. Instead, it’s that our needs, priorities and preferences differ greatly. - Change and challenge. They will have an average of five careers (not just jobs) in their lifetime, and may stay only as long as 2-3 years unless you are able to allow them movement within the organization (or with partner firms). - Explanations as to the ‘why’ behind a project or a direction. - Inclusion on the company’s bigger picture, regardless of whether it affects them directly. - Aura of ‘fun’, not ‘grind’, when it comes to both the work environment and the work itself. - Flexibility (where and when the work gets done) to accommodate family needs, extra curricular activities, wellness, etc, in order to accommodate their very full, robust, well-rounded lives. - Position, power and prestige. Respect, with titles that reflect authority and responsibility. - Ability to stay connected with peer groups; enjoy working on projects with others whom they can relate. - Longer-term commitment, with security in terms of salary, perks/benefits. Looking for more tips on how to give ALL your firm members the skills they need to bring in new work and persuade current clients to give you more…send them to PSMJ’s 2011 A/E/C Marketing Bootcamp: THE Program On How To Get And Keep Clients. This spring, PSMJ is providing 5 locations all across North America to give your whole firm the tools and confidence you need to succeed in bringing in more work for the firm. Click here for more information.